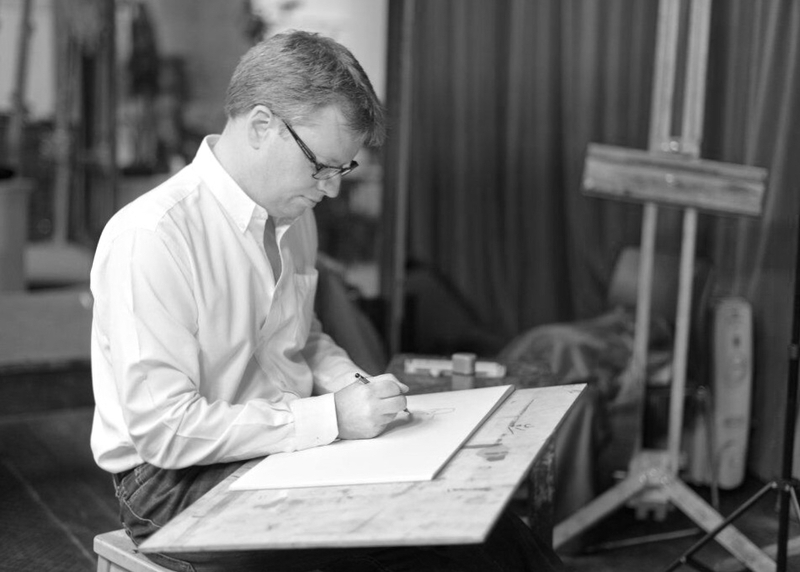 ADRIAN is a caricaturist, cartoonist, illustrator and author, with clients around the world. He has been fully freelance since 1996, with a studio in Northamptonshire. He was head of 3D celebrity caricature design on the award-winning ITV show Big Heads, which first aired on ITV1 in April, 2017. As a kid, Adrian was tutored at British TV’s Spitting Image Workshop. Spitting Image’s producer was the multi-award-winning John Lloyd, best known for his work on such iconic comedy shows as Not the Nine O’Clock News, The Hitchhiker’s Guide to the Galaxy, Blackadder, and QI. One of Adrian’s proudest moments was co-writing material with John for the QI Annuals. Adrian has produced a cover and written/illustrated historical spreads for the QI books. He has illustrated for QI merchandise and marketing material as well as for the TV show itself. In relation to his caricature work, Adrian has appeared on several British TV channels such as BBC1, Channel 5, and Sky One, and he has been an interviewee on BBC Radio 4 and BBC local radio. He contributes illustrations and material to Dr Lindsey Fitzharris’s YouTube series Under the Knife, which takes a humorous look at our medical past by combining traditional documentary with CG animation and artwork. Adrian is currently a caricature consultant on a forthcoming BBC2 comedy show.